Read it and weep, like we did when we stumbled across this ominous sign along the beach in Pantai Cenang, warning of jellyfish in the waters of Langkawi. It goes on to say that you should contact the pool life guard or watersports staff if you are stung by jellyfish, and that you should not rinse your body with fresh water. We immediately had questions, like in which season do jellyfish visit Langkawi? Are the jellyfish deadly? Is it safe to swim now? What do you use if not water? Urine? According to Wikitravel, jellyfish stings are the biggest health risk for travellers on the Malaysian island of Langkawi. Jellyfish season runs from January right through until June, and in most cases jellyfish stings can be treated fairly easily. Apparently, applying vinegar to the area is the best treatment for jellyfish stings. 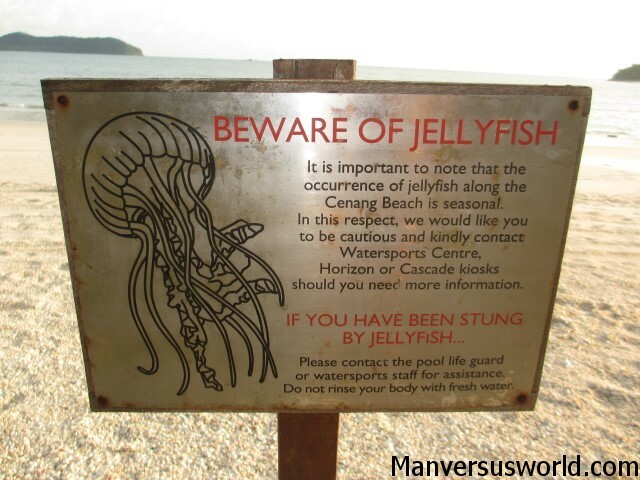 However, while most jellyfish in Langkawi waters will only give you a painful sting – some can kill you. Yep, I’m very sorry if you’re reading this in Langkawi, but some of the jellyfish in the waters there can paralyse or even kill you. If you are stung, it’s better than you seek help immediately – just to be sure – and you shouldn’t exert yourself too much physically, as it’ll pump the poison around the bloodstream and only make it worse. To stay safe, it’s recommended you should swim in clothes. Better yet, if you’re scared of jellyfish, you should stick to swimming in your hotel pool. …even if I do look a little bit nervous in that picture! 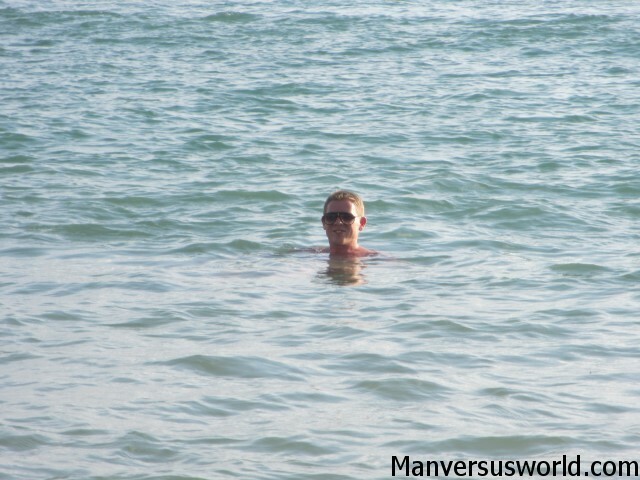 I was in Langkawi in May, and if I’d known it was jellyfish season I’m not sure I would have gone swimming, to be honest with you. As it was, the thought of jellyfish was enough to stop Mrs Man vs World from swimming at Pantai Cenang. But my logic was there were plenty of local Malaysians swimming, and surely they would know better than to go swimming if there were jellyfish around. When in Rome and all that. 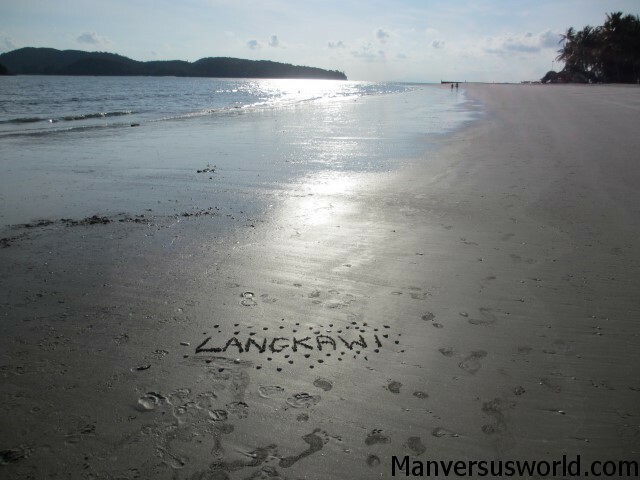 Otherwise we had a terrific time on Langkawi, and Pantai Cenang is an absolutely gorgeous beach. Although supposedly the most popular beach in Langkawi – and indeed one of the most developed in Malaysia – it wasn’t nearly as busy as some of the beaches we visited in Vietnam, Cambodia or especially Thailand. Located at the south-western tip of Langkawi, Pantai Cenang is a 2km stretch of fine, white, powdery sand. 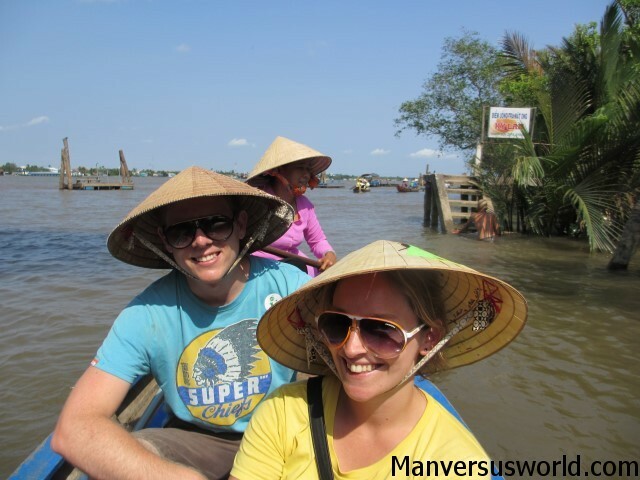 There are a bunch of restaurants and resorts along the beach, but we stayed at a guesthouse along the main drag. Almost every night we ate a local Indian restaurant called Red Tomato, where you fill up your plate with delicious food and pay at the counter. Every time we were surprised how cheap and delicious our meals were. 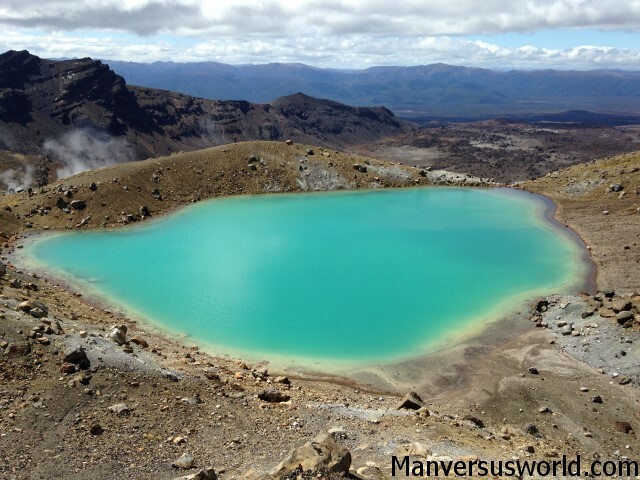 I highly recommend you check it out if you’re a backpacker on a budget, as we were. At the time of writing, a taxi from Langkawi airport to Pantai Cenang costs a fixed price of RM20.